To the hearing, Chairman Raul Grijalva invited a couple of state governors who are working on strong climate policies, as well as climate scientist Dr. Kim Cobb, youth climate organizer Nadia Nazar, and environmental and climate justice activists Elizabeth Yeampierre of UPROSE and Rev. Lennox Yearwood Jr. of the Hip Hop Caucus. Hollie’s testimony, however, stuck out in stark contrast to those of Yeampierre and Rev. Yearwood. Hollie claims a mission of “addressing complex social issues impacting African American communities today.” But Hollie doesn’t work to protect these frontline, vulnerable communities from rampant air pollution or climate threats. Instead, Hollie often presents oil and gas development as the only way to address energy poverty in minority communities, and yesterday’s House hearing was no exception. Hollie did not tell the Committee that his group has worked extensively on campaigns funded by the oil and gas industry, including the ill-fated, Koch-funded Fueling U.S. Forward campaign, and now the American Petroleum Institute’s Explore Offshore campaign. Hollie has not responded to questions about Reaching America’s funding. Hollie proposed a minority impact assessment for any new energy projects. However, these assessments only examined economic impacts, with no regard whatsoever for public health or the climate impacts that disproportionately impact communities of color. 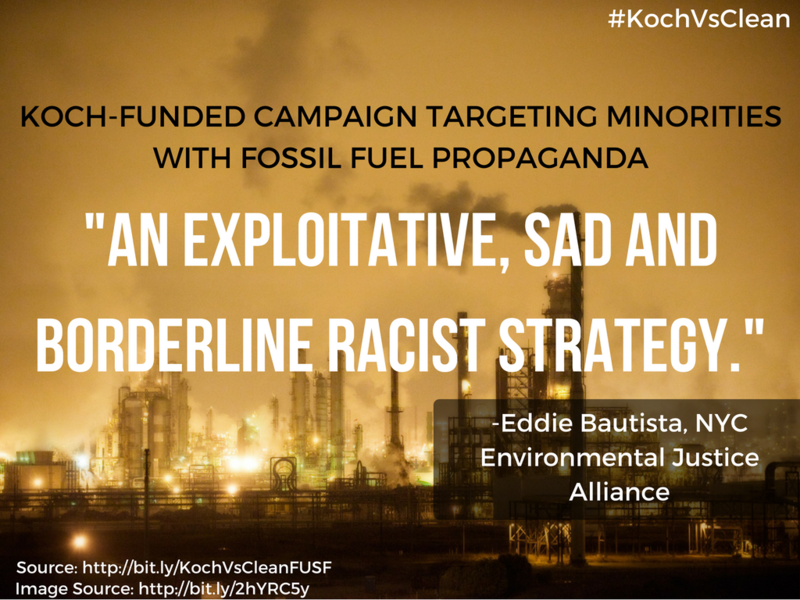 While Hollie claims to advocate for the best interests of all minority communities, he repeatedly ignores real and measurable threats to public health and economic well-being that are created by rampant fossil fuel extraction and the impacts of climate change.